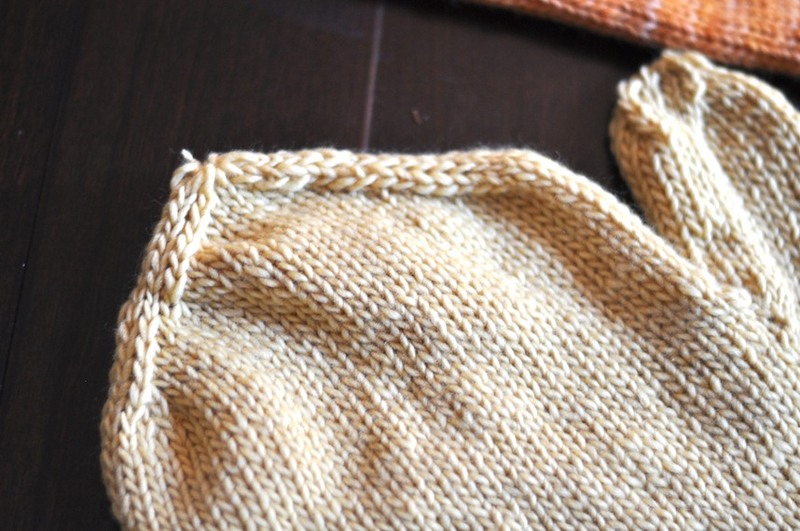 I finished my second and third knitting projects yesterday. I learned a few new techniques like knitting in the round, which I really enjoyed, and how to use double pointed needles to taper the tops and the thumbs. I spent a few hours at the Yarn Lounge on several Sundays for some extra instruction, and the first mitt took a few weeks to complete. 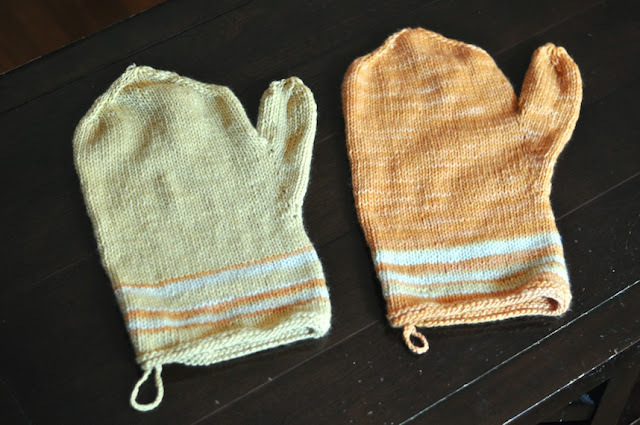 The second mitt I did all on my own and took only three days from start to finish. Using sticks and yarn to create beautiful things still has me intrigued. 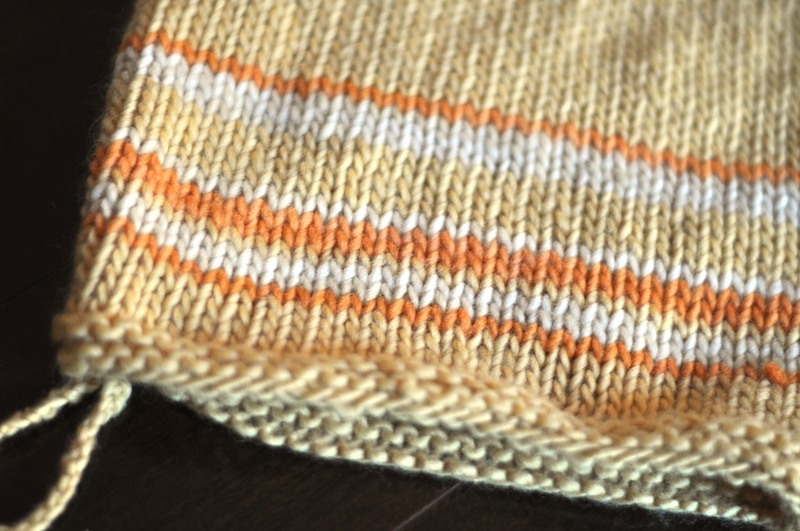 It's so interesting how the different stitches and patterns come together. I find it mesmerizing. 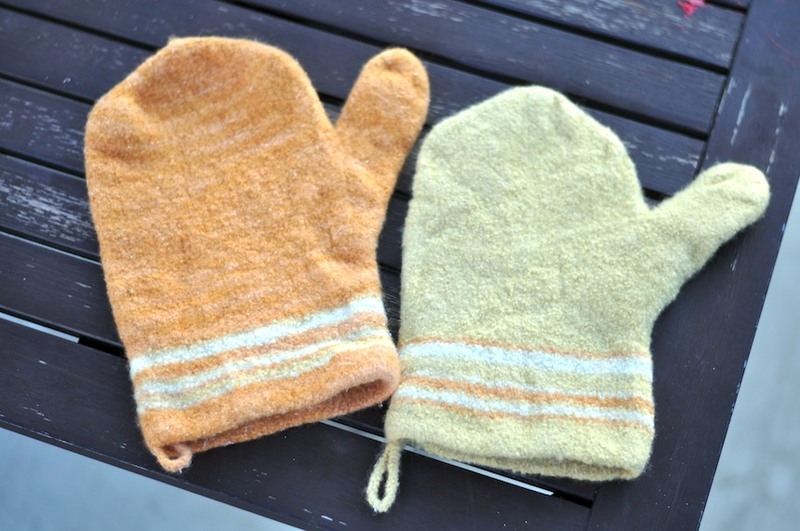 The mitts were huge and floppy after the initial knitting but with some heat and agitation in the washing machine they shrunk and felted up nicely. The pattern for this project can be found here. I used three skeins of worsted weight malabrigo wool in a butter yellow, cream, and orange. For my next project I think I will knit a pair of pom pom peds. I crochet and I love watching things come together as well! 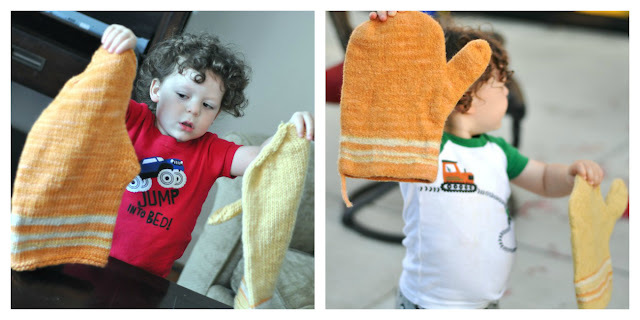 It is also so lovely to have things like oven mitts that will be used on a daily basis and you can be proud you made them every time you use them! These are adorable. I am not in the slight bit craft, so I totally admire that after a lesson you were able to complete the second one totally on your own. And, they're super cute.